ING Mutual Fund has announced that Ankur Arora has resigned from the services of ING Investment Management and will cease to be the fund manager of ING Dividend Yield Fund from the close of business hours of February 29, 2012. 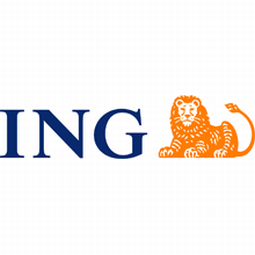 Danesh Bharucha will be designated as the Fund Manager for ING Dividend Yield Fund with effect from March 1, 2012. 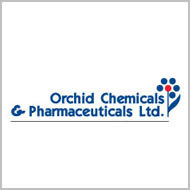 Orchid Chemicals & Pharmaceuticals has redeemed the outstanding Foreign Currency Convertible Bonds (FCCBs), including yield-to-maturity, aggregating to $167।64 million on the due date, February 28, 2012. The Chennai-based firm had issued the bonds in February 2007. Established in 1992 as an export-oriented unit (EOU), Orchid Chemicals & Pharmaceuticals is a vertically integrated company spanning the entire pharmaceutical value chain from discovery to delivery. 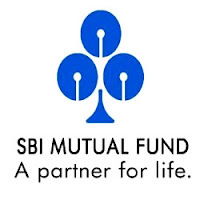 SBI Mutual Fund has announced the New Fund Offer (NFO) SBI Debt Fund Series - 13 Months - 12, a close ended debt scheme. The NFO opens for subscription on March 2, 2012 and closes on March 5, 2012. No entry and exit load charges is applicable for the scheme. The duration of the scheme is 13 months from the date of allotment of units. The scheme offers dividend payout and growth option. The minimum application amount is Rs 5000 and in multiples of Rs 10 thereafter. 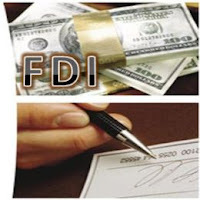 The investment objective of the scheme is to provide regular income. बैंक ने श्रीलंका की राजधानी में अपनी पहली एसएमई शाखा खोल दी है। आईटी पिछले वर्ष ही जनवरी में अपनी दूसरी शाखा जाफना श्रीलंका में खोल चुका है और इसकी दूसरी शाखा कोलंबो में है. Indian Bank is likely to open three more branches in Sri Lanka. It has applied to the Reserve Bank of India to open a branch each in Batticaloa, Trincomalee and Hambantota. The bank has already received the permission from the Central Bank of Sri Lanka for these branches. The bank has opened its first SME branch in the Capital of Sri Lanka. IT has opened its second branch in Sri Lanka in Jaffna in January last year. The other branch is in Colombo. तीन महीने की प्रसव के लिए कॉपर लंदन मेटल एक्सचेंज पर 0.5% से 8,486.75 डॉलर प्रति टन तक फिसल गया. Copper prices declined for a third time in previous four sessions as concerns persisted amongst investors about the demand prospects amid wavering industrial demand and spiking oil prices threatening a fragile global economy. The growth sensitive metal prices stayed lower as investors also remained on sidelines ahead of the release of US consumer confidence figures on Tuesday and the US Fed’s Beige Book report on economic activity due Wednesday. 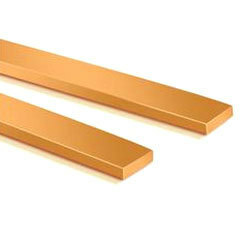 Copper for three-month delivery on the London Metal Exchange slipped 0.5% to $8,486.75 a tonne. ग्राहक एयरटेल मनी सेवा के माध्यम से अपने मोबाइल उपकरणों पर नकदी को लोड व् उपयोगिता बिल और रिचार्ज का भुगतान , व्यापारी दुकानों पर कारोबार, ऑनलाइन धन हस्तांतरण करने में सक्षम हो जाएगा। वे खुद भी विभिन्न व्यापारी दुकानों पर छूट और पेशकश का लाभ उठा सकते हैं. Bharti Airtel a leading global telecommunications company with operations in 19 countries across Asia and Africa, has introduced mobile wallet service through its wholly owned subsidiary Airtel M Commerce Services. 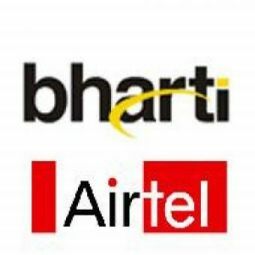 Customers will be able to load cash on their mobile devices through Airtel Money service and will be able to pay utility bills and recharges, shop at merchant outlets, transact online and transfer money. 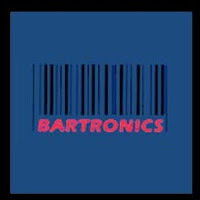 They can also avail themselves of discounts and offers at various merchant outlets. 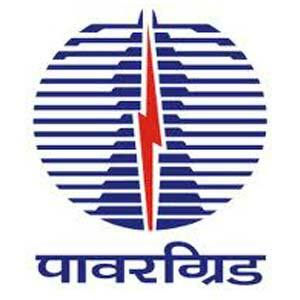 Power Grid Corp of India (PGCIL) is likely to see aggressive capex and capacity addition activities in next two fiscals. In this regard, the company will invest about Rs 37,500 crore. This would be driven by projects under construction and orders for high capacity power transmission corridors (HCPTC) projects, among others. In addition, the company already has board approvals for investments worth about Rs 70,000 crore related to 12th Plan Period (2012-17) projects. Power Grid is into building power transmission lines, consultancy activities and also owns more than 25,000 kilometres of telecom network. Vijaya Bank and UCO Bank, the two state-owned lenders have proposed to raise about Rs 412 crore of capital by issuing fresh equities to Life Insurance Corporation of India (LIC). Vijaya Bank has proposed to allot shares worth Rs 147 crore to LIC on preferential basis. Meanwhile, UCO’s board of directors have approved the proposal for issue of 3.13 crore shares to LIC on preferential basis. At the prevailing market price of Rs 84.80 (closing price as on February 23, 2012), the bank would raise approximately Rs 265 crore by selling stake to the insurer. In 2010-11, the government provided capital support to the tune of Rs 20,157 crore to public sector banks. 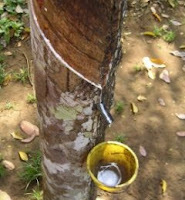 Physical rubber prices ended mixed on Thursday after witnessing good upmove in last two days. There was buyers resistance in some grades, while the volume remained low due to stumpy transactions in the mandis. Spot prices for RSS-4 variety closed at Rs 186/kg compared to its previous closing of Rs 186.50/kg; while the RSS-5 variety closed at Rs 183.50/kg compared to its previous closing of Rs183/kg. In the futures market, the contract of RSS 4 for March delivery closed at Rs 188.31 compared to its previous closing of Rs 186.65, while the contract for April delivery closed at Rs 193.25 compared to its previous closing of Rs 191.74 on the National Multi Commodity Exchange. Punjab National Bank (PNB), the public sector lender is likely to raise Rs 1,590 crore by selling about 15.8 million shares to Life Insurance Corporation of India (LIC). The board of directors of the bank has approved issuance of up to 15.8 million equity shares of face value of Rs 10 each to LIC, on preferential basis, at a premium of Rs 993.69 determined as on February 17. 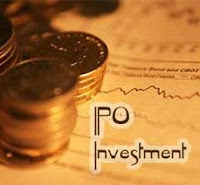 The bank has also approved fund infusion of Rs 1,285 crore through preferential issue of shares to the government. The bank will issue up to 12.8 million shares to the government. The capital infusion would raise government's stake, from 58% at present, in the bank. Recently, PNB has launched a special salary package for nursing staff of private hospitals in Kerala. India’s largest commodity exchange by turnover - Multi Commodity Exchange’s (MCX) initial public offer (IPO) was subscribed 0.76 times on the first day of issue. As per the data available with the NSE, total bid of 41,71,002 shares were received for the issue of 55,00,772 shares and 1766256 bids were received at the cut-off price. The exchange aims Rs 663 crore from this offer. The exchange has set the price band of Rs 860 to Rs 1,032 a share having face value of Rs 10 each. The issue will close on February 24, 2012. 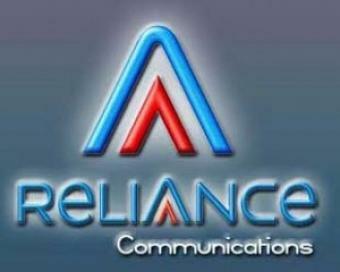 Reliance Communications (RCOM), India's biggest mobile phone carrier is likely to acquire network equipment worth $600 million from Huawei and ZTE as these two Chinese vendors assisted the telecom operator to secure loan from various Chinese banks. Earlier, RCom had announced an agreement with Export Import Bank of China, China Development Bank and Industrial and Commercial Bank of China for a loan of $1.18 billion. The company is going to use the funds raised by the loan to repay its Foreign Currency Bonds (FCCBs) that are maturing in March. 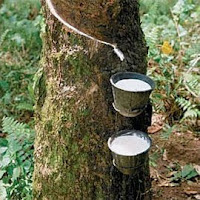 Physical rubber prices moved higher on Tuesday after witnessing a marginal decline in last session. Gains in domestic and international futures helped the prices to improve, though covering purchase at the lower levels kept the market firm but traders were still waiting for some dip in the prices. Spot prices for RSS-4 variety closed at Rs 185.50/kg compared to its previous closing of Rs 184.50/kg, while the RSS-5 variety closed at Rs 183/kg compared to its previous closing of Rs 181/kg. In the futures market, the contract of RSS-4 for the March delivery closed at Rs 187.75 compared to its previous closing of Rs 184.98, while the contract for April delivery closed at Rs 193.67 compared to its previous closing of Rs 190.99 on the National Multi Commodity Exchange. योजना क्रिसिल शोर्ट टर्म बोंड फंड इंडेक्स के खिलाफ बेंचमार्क होगा। इसके लिए कम से कम आवेदन राशि 10000 रुपये है. 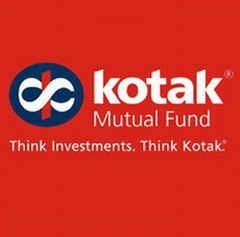 Tata Mutual Fund has launched the New Fund Offer (NFO) Tata Fixed Maturity Plan Series 39 Scheme C, a close-ended debt scheme. The NFO opens for subscription on February 17, 2012 and closes on February 27, 2012. No entry and exit load charges is applicable for the scheme. The duration of the scheme is 398 days from the date of allotment of units. The scheme offers dividend payout and growth option. The scheme will be benchmark against CRISIL Short Term Bond Fund Index. The minimum application amount is Rs 10000. बार्टोनिक्स भारत ने 31 दिसंबर, 2011 की समाप्त तीसरी तिमाही के परिणामो की सूचना दी है. कंपनी ने पिछले वर्ष के शुद्ध लाभ में इसी तिमाही के लिए 34.94 करोड़ रुपये की तुलना में इस वर्ष के लिए 147.29 करोड़ रुपये पर 22.01% की वृद्धि दर्ज की है। ऑपरेशन से होने वाली आय में समीक्षा के अंतर्गत पिछले वर्ष के 196.72 करोड़ रुपये से इस वर्ष के लिए 335.01 करोड़ रुपये पर 70.30% की वृद्धि आई है. 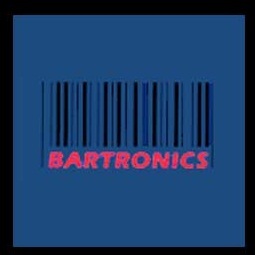 Bartronics India has reported results for third quarter ended December 31, 2011. 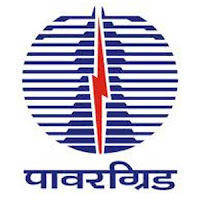 The company has posted a rise of 22.01% in its net profit at Rs 42.65 crore for the quarter ended December 31, 2011 as compared to Rs 34.94 crore for the same quarter in the previous year. Income from operation has increased by 70.30% at Rs 335.01 crore for the quarter under review as compared to Rs 196.72 crore year ago. 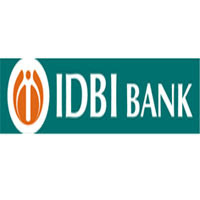 IDBI Bank, public sector lender has sanctioned a loan of Rs 5,000 crore to Reliance Infrastructure-backed discom BSES. The company is going to use the amount to pay up its outstanding dues to a number of power generation and transmission utilities. The bank has sanctioned the loan after the discom deposited a security deposit of Rs 1,020 crore. Reliance Infrastructure infused Rs 520 crore and the total amount of Rs 1,020 crore was deposited with IDBI Bank as security deposit for getting the loan. The bank had conditioned granting the loan to BSES arranging at least 20% of the total amount. 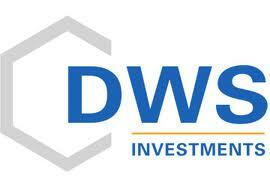 Deutsche Mutual Fund has launched a new fixed term fund named as DWS Hybrid Fixed Term Fund - Series 5, a 3 year close ended debt fund. The scheme will be benchmarked against Crisil MIP Blended Fund Index. The minimum application amount is Rs 5000 and in multiple of Rs 1 thereafter. The equity portion of the scheme will be managed by Aniket Inamdar and debt portion will be managed by Kumaresh Ramkrishnan. After getting green signal from the market regulator, Securities Exchange Board of India for an initial public offer (IPO), India’s largest commodity exchange by turnover - Multi Commodity Exchange (MCX) is all set to launch IPO by month-end. The issue is being eyed by the investor category as many companies have already deferred their IPO plans and MCX’s IPO will be first public offer of the year. The exchange aims to raise nearly about Rs 750 crore through this issue. It is reported that the issue will open on February 21 and close on February 24, 2012 thereby making MCX the country’s first exchange to be listed on the bourses. Edelweiss Capital, Citigroup and Morgan Stanley are bankers for the issue. Copper prices declined by over half a percent on Monday as investors chose to take profits off the table at higher levels as the optimism over Greek parliament’s austerity measures approval got replaced by worries about future obstacles. The dollar denominated red metal prices drifted lower despite deprecation in American greenback against a basket of currencies which made the commodity cheaper for holders of other currencies. 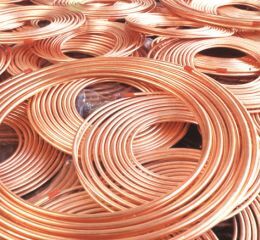 Copper futures for March delivery slipped 2.25 cents or 0.6% to settle at $3.8395 per lb after trading as high as $3.9080 and as low as $3.8160 on the Comex metals division of the New York Mercantile Exchange. Copper for three-month delivery on the London Metal Exchange dropped $60 to settle at $8,425 a tonne. 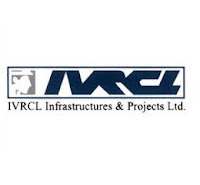 IVRCL Assets & Holdings, a subsidiary of IVRCL has bagged 151 Km project of four laning of Rai Malikpur (Rajasthan Border) - Narnaul - Mahendragarh - Dadri - Bhiwani - Kharak corridor project in the state of Haryana to be executed as BOT (Toll) project on DBFOT pattern from the Government of Haryana. The project scope includes rehabilitation, up-gradation and widening of the existing carriageway to four-lane standards with construction of new pavement, rehabilitation of existing pavement, construction and/ or rehabilitation of major and minor bridges, culverts, road intersections, interchanges, drains, etc, and the operation and maintenance thereof. The concession period is 20 years and the construction period is 30 months. The estimated total project cost (TPC) is Rs 1201.70 crore. The project corridor serves as major interstate south north connectivity between the states like Rajasthan, Gujarat and Maharashtra to northern states of Punjab, Himachal Pradesh and Jammu & Kashmir.